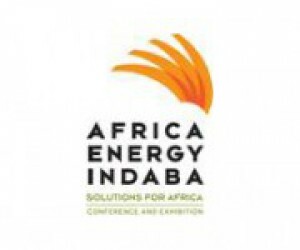 The upcoming Nuclear Forum which takes place in February will run alongside Africa’s foremost energy event, the Africa Energy Indaba for the first time. South Africa’s rich natural resources of uranium make nuclear a more viable option for electricity generation than if South Africa had to import its uranium. In light of the nation’s rich uranium reserves that provide an abundance of nuclear energy, the South African government views the use of nuclear power as a favourable alternative for meeting its energy demands. Cabinet recently endorsed Eskom as the owner and operator of any new nuclear energy plants in South Africa – an emphatic stamp of approval for the future of nuclear power in the country. The National Nuclear Energy Executive Co-ordination Committee , chaired by Deputy President, Kgalema Motlanthe, has been set up to oversee future nuclear plant building programmes. However, the debate about nuclear power is not without controversy; not because of safety concerns of operating such power plants in South Africa, but because of cost implications. The EIUG, representing South Africa’s largest electricity users, is calling for a re-look at Eskom’s proposed nuclear build programme because it believes it is impacting negatively on the country’s electricity prices and threatens to slow economic growth. The Nuclear Industry Association of South Africa CEO, Ayanda Myoli, recently told Engineering News that “nuclear should not be considered more expensive than coal or gas”. Citing a joint study by the International Energy Agency and the Nuclear Energy Agency that showed nuclear to be competitive with both coal and gas alternatives, Myoli argued that although nuclear was more capital intensive upfront and, therefore, relatively more expensive to build, “it is cheaper to operate over the life of the power plant mainly because nuclear fuel is cheap, and the life of nuclear plants is long”. “South Africa has the added advantage that we have the fourth largest reserves of uranium in the world and the beneficiation of this important resource would enable us to produce nuclear fuel for our own plants and for export markets and ensure security of supply,” Myoli said. The debate about nuclear power, and indeed, other renewable energy sources, is far from over and stakeholders and investors need to find consensus to ensure security of electricity supply in the future. The upcoming 2013 Nuclear Forum on the 21 February at the Sandton Convention Centre in Johannesburg will, for the first time, run alongside Africa’s foremost energy event, the Africa Energy Indaba. The Forum is sponsored by Areva and aims to debunk some of the issues surrounding the use of nuclear power as an alternative and cost-effective solution to South Africa’s power problems. Much more than a talk-shop, the Nuclear Forum is a networking and dialogue opportunity with experts. “The Nuclear Forum has traditionally been hosted by Siyenza as a stand-alone event but due to the growth of the Africa Energy Indaba and the interest in the nuclear sector from both the South African and African markets, it was a natural fit to be aligned with the Indaba. "This decision was discussed with the four strategic partners: The World Energy Council , the South African National Energy Association , the AU and Nepad and the response was a definite positive for the Indaba and the Nuclear Forum to run concurrently,” said Liz Hart, MD of Siyenza, the organisers of the Africa Energy Indaba. “AREVA, our sponsor for the third year in a row, has also welcomed this decision,” Hart said. A major benefit of the decision is that more African and international energy representatives will now be able to attend the Nuclear Forum who would not have been able to justify two trips to South Africa. According to Hart, registrations for the event have been very good. Topics to be discussed include: The business opportunity attached to a nuclear build programme; nuclear success and failure stories; the role of base-load nuclear power in a sustainable energy future and; best practice for nuclear build programmes.